Introduce Healthy Foods to Your Picky Eaters. It’s easy to dismiss a child’s distaste for healthy foods as him or her “just being a kid.” The reality is that healthy eating is important for people of all ages and that picky eaters won’t necessarily develop better nutritional habits as they grow up. That’s why it’s vital to instill an appreciation for healthy food in young people as early as possible. It doesn’t have to be a chore, though. Learning to love nutritious food can be fun for folks of all ages. 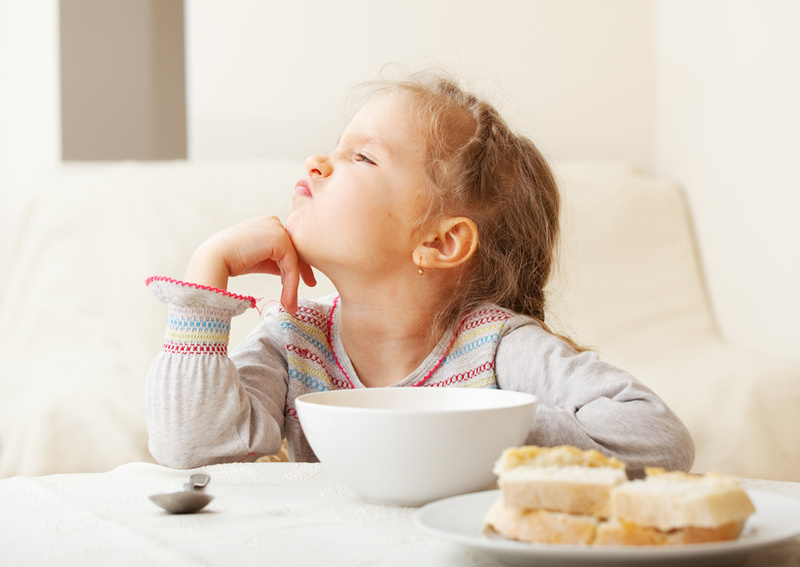 Picky eaters don’t possess different taste buds than everyone else. In truth, they’re mostly reacting negatively to things they find unfamiliar or strange. The best way to familiarize kids with fresh, healthy foods is to cook from raw ingredients at home as often as possible. Pre-packaged foods and restaurant meals may be more convenient, but they’re often full of salt, sugar, fat and preservatives. Letting kids know how each ingredient starts makes fresh food more familiar. You’ll also be able to control the nutritional content of home-cooked meals. Healthy eating is ultimately about the love of food and how it can make us strong. Bring the kids into the kitchen to help prepare meals at an early age. Empowering a young person with cooking skills makes them more likely to seek out fresh ingredients and lowers the chance that they’ll opt for packaged snacks. Instead of being weird and unfamiliar, kid chefs will look at foods they’ve never seen as engaging novelties to add to their growing repertoires. Even if you aren’t an ace in the kitchen yourself, cooking with your kids is a great way to learn. Reach out to resources to brush up on your culinary skills, whether it’s picking up a classic cookbook from the bookstore or learning about healthy alternatives from BodyApplicators.com. A common mistake made by parents of picky eaters is to shift the family diet all at once. It won’t work to replace burgers, fries and milkshakes with salads, beans and mineral water. Instead, try bringing new, healthy items to familiar settings. Replace the mayo on a burger with avocado, turn that shake into a low-sugar fruit smoothie and trade the fries for baked sweet potatoes. When put in a familiar context, healthy foods will be more appealing to picky eaters when they encounter them in other meals. Simply taking unhealthy snacks off the menu can seem like a punishment. Instead of just subtracting salty, sugary, fatty foods from the pantry, try slowly adding new healthy options. You may be surprised about what your picky eater chooses at snack time. Vegetable chips, fresh fruit with honey, roasted nuts and probiotic yogurt can easily replace cheese puffs, cookies and sugary granola bars, just as long as they haven’t muscled out your child’s favorite treat. Kids thrive on routine, and eating should be no exception. Meals and snacks should happen on a regular schedule so kids don’t feel like they can reject unfamiliar options. If snack time is always at 4:30, it may mean missing out on a snack altogether if the picky eater isn’t willing to give kale chips a try. An eating schedule is also a great way to combat overeating and appetite-diminishing “grazing” behavior close to meal time. It’s hard to convince kids to make healthy decisions when their primary role models aren’t following the same advice. When you reach for a snack, make a meal or even order a dish at a restaurant, choose the healthy option as a good example for your child. You should also make an effort to try new foods and even expand your palate by learning to love foods you’ve avoided until now. Phrases like, “I can’t stand asparagus!” and “I’ve never liked tomatoes!” let kids know that it’s okay to be summarily dismissive of certain foods, so they will imitate. Just as picky eaters learn to exclude foods, so too can they learn to bring new, more healthy foods into their diets. Keeping meals at home, hands-on and on-schedule can turn your picky eater into a champion of all things healthy. How do YOU introduce healthy foods to your picky eaters? You are right kids really love routine,and I found letting them help choose from a list of healthy choices they seem to eat better. All great tips, will have to try some of these on hubby as well since he is picky! I remember once having two little boys for a sleep over. Although they were 6 & 8 at the time, they had no idea that fries were made from potatoes, I was flabbergasted. That is an interesting mix but, glad he likes it! Yes,isn’t it a strange mixture! Its that time of year of searching for healthy ideas for School lunches,do you have some to share with us.